PACKED AND READY FOR SHIPPING! 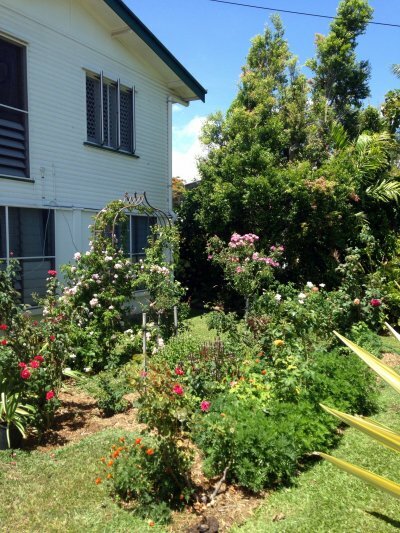 a lovely rose garden in the suburbs of Townsville demonstrating how well Brindabella roses can grow in FNQ - thank you Michael for sharing this with us. Michael's garden has a northern aspect without very late afternoon sun. 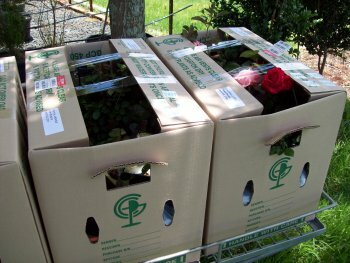 He feeds his roses with rose fertiliser every 6 weeks and prunes hard at the beginning of winter. This photo taken just before Christmas. 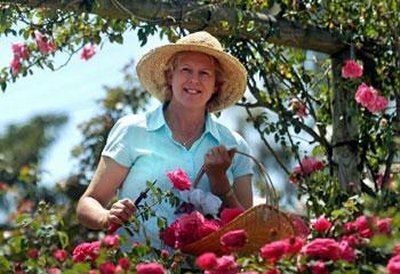 Roses include 'Climbing Ruffles' on the archway, 'Tequila Tiger', 'Raspberry Tiger'and 'Brindabella Bouquet'.